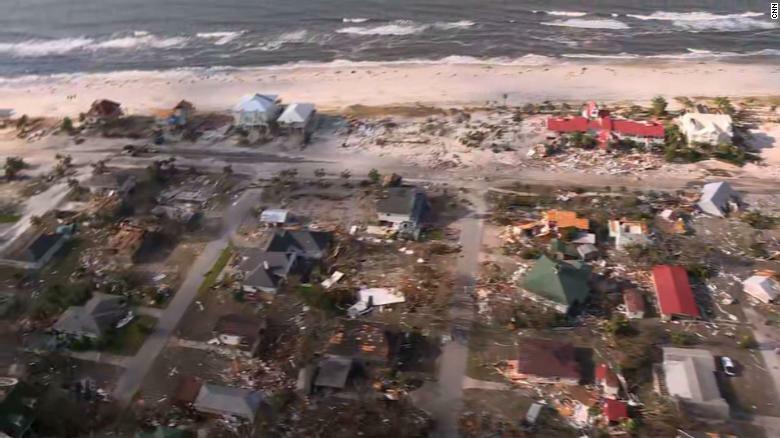 Much of Mexico Beach is in ruins Thursday after Michael’s landfall a day earlier. “All the homes that are on this side of the road at the beach, they’re all gone,” Scott said. “When we got back to the house … we had furniture in our house that wasn’t our furniture. The surge had brought stuff in so bad, the walls collapsed — the only thing I could find of ours was my briefcase. 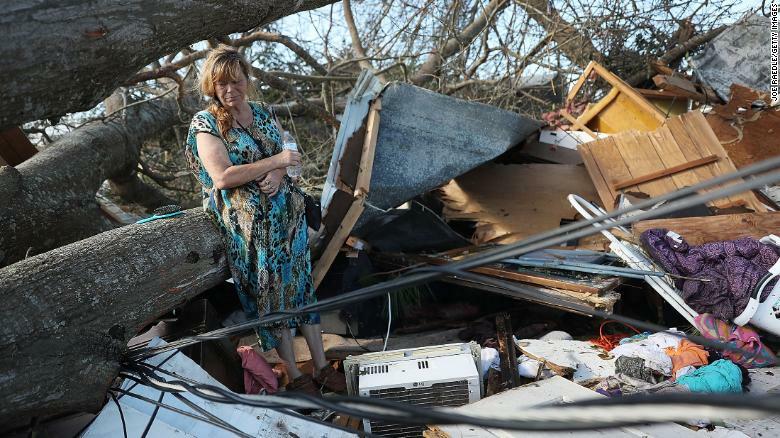 Kathy Coy looks at the remains of her Panama City home Thursday after Hurricane Michael destroyed it. 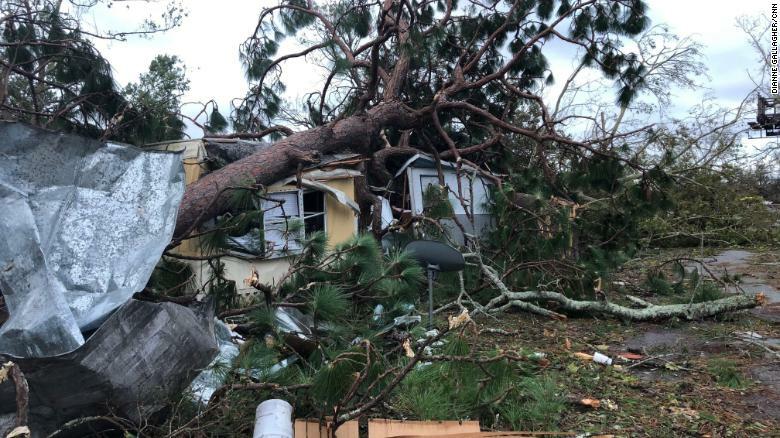 Other catastrophic scenes are emerging across the Florida Panhandle, where Michael left more than 350,000 without power and entire neighborhoods in ruins. 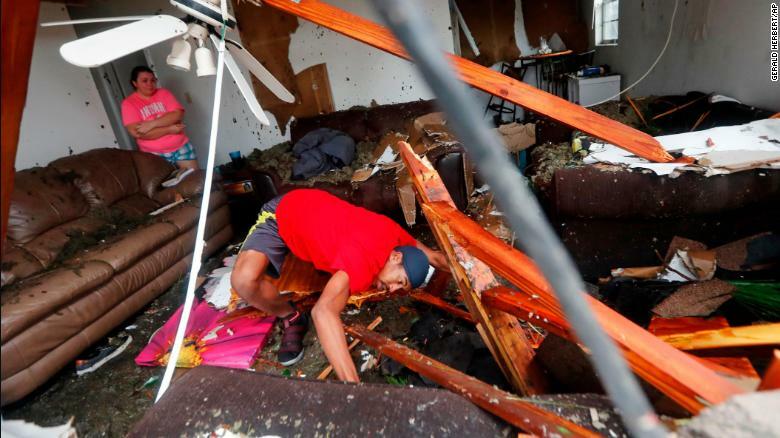 Residents said almost all homes in a Panama City mobile home park were damaged. No power, no internet: More than 486,000 customers don’t have electricity in Florida, Alabama, Georgia and the Carolinas. Where is Michael? As of Thursday morning, the storm was centered about 40 miles west-northwest of Columbia, South Carolina, and is headed northeast. This time, the Panama City school was ripped apart by Michael. 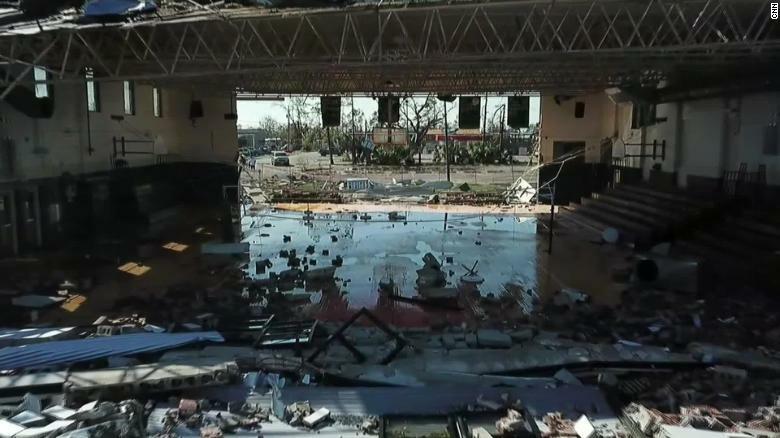 The debris-covered floor of the school’s gymnasium is now visible from the sky. Dorian Carter searches for his missing cat after several trees fell on his Panama City home Wednesday.